In this sculpted crystal motif Icône of Art Déco inspiration the round, generous cut of the Cabochon..
White gold cuff set with diamondsThis entirely hand-made 18-carat white-gold pavé cuff is set with b..
White gold bracelet set with diamondsThis hand-made 18-carat white-gold pavé bracelet is set with br..
White gold bracelet set with diamondsThis 18-carat white gold diamond bracelet, fully hand-made and .. 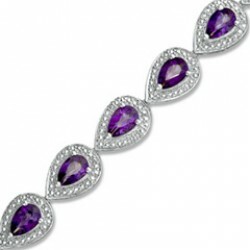 This year Messika has created exclusive reinterpretations of its classic collection - Move.Each desi..
White gold bracelet set with diamondsThis pavé bracelet in 18-carat white gold, fully hand-made and ..
White gold bracelet set with diamondsThis “My first diamond” bracelet in 18-carat white gold, fully .. The fusion of the Skinny concept and the sparkling diamonds of My Twin collection. Embracing closely..
White gold bracelet set with diamondsThis entirely hand-made 18-carat white-gold pavé bracelet is se..